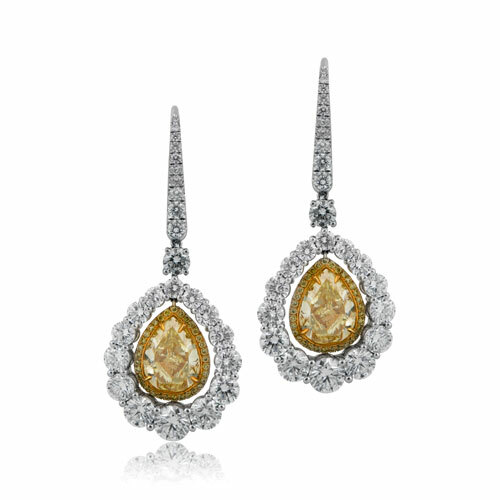 A stunning pair of Fancy Yellow Diamond Earrings. 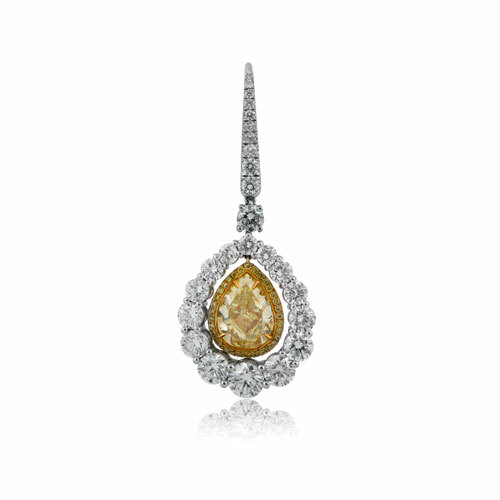 The center yellow pear shaped diamonds have a total weight of 5.35 carats and are set in 18k gold. 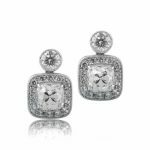 The halo of diamonds surrounding them are brilliant cuts, F color, and VS clarity, and are set in platinum. They have a total weight of 5.21cts. The level backs have diamonds along the front. The diamonds have a GIA certification. 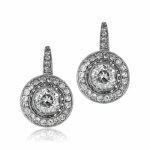 SKU: 10203 Category: Vintage Earrings - Contact us and request additional pictures.